Wedding Planning – 18 Months to Go! So, having booked our wedding and sent out our invites to friends and family, there isn’t too much to do for a while as the wedding isn’t until next September and, with a destination wedding, there’s actually a lot less planning involved when you use a wedding planning company. So far we’ve put together a spreadsheet of all the things we need to plan, book and buy and by when as well as a budget to save to. With the house move and change of job I’ve been focusing on saving rather than spending and we are around 2/3 of our way there. 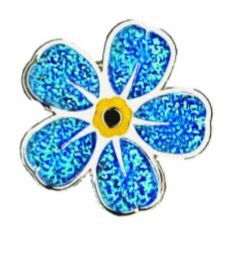 So far all we’ve actually bought is our wedding favours- sparkly pins from Alzheimer’s Society. Getting married abroad also means we don’t need to buy too many ‘details’ for the wedding. I am, however, planning on bulk buying sunglasses for our guests in the summer sales to ensure everyone can actually see us say our vows! Big things like my dress, Ed’s outfit and our wedding rings will be bought at the start of next year, giving us time to save and decide what we want first. I’ve been looking into the bridesmaid dresses and have a rough idea of the style I like, but I won’t be deciding until I have my dress, as I know this may influence it. A lot of the other things are included in our package (DJ, cake, flowers) so that’ll be something we will plan with out coordinator nearer the time as well. I’m really excited but I don’t think it will really kick in until the year to go mark in September, especially as by then us and our guests will have booked flights and accommodation! Something I have found from booking a wedding abroad is how lonely the process is compared to going for a UK venue. There just don’t seem to be as many brides to talk to online and without dedicated wedding fairs for destination weddings, there’s not really that aspect of the planning to get involved in either (still, doesn’t stop me attending every fair in sight!). 1 Comment on Wedding Planning – 18 Months to Go! Aww sounds amazing I hope all goes well!